Chrono Crow wrote: Chris Walken is funny because he does crap no one expects him to. He's unpredictable. When I saw The Rundown (I know, I apologize), I was disgusted. They not only ruined the movie, but they ruined his character. But in the deleted scenes, there's a scene where he falls to the ground, and a pig just walks up to him. He lifts his head, and says ". . .Pig." And collapses. Things like that are why Walken is awesome. So hearing him talk like that in the cowbell skit is funny because it's so strange coming from an established actor (seriously, in the last three months, I've probably seen 4 different movies he's been in). But without that mindset, the skit blows. Chris Walken rules. I've been watching his stuff for decades and he is always so true to his character. This skit is just a "bit," however you have to watch Walken. When everyone else is losing it, he continues to play it completely straight. No small task when the SNL group is cracking up around you. I love the extras on DVDs, and in any movie where Walken has a part, you always here the same thing. He comes each day utterly prepared, has no ego fits, doesn't complain about anything, is willing and even eager to do the take a hundred times, and then give a little bit extra on the 101st take. He is professional and very giving as an actor. That said, I think he's COMPLETELY INSANE. But in a good way. Lambs_Cows_Lambs wrote: Hey...... The Chronic(WHAT)les Of Narnia skit was funny. I loved that as well. Two, no six, no twelve, BAKER'S DOZEN. I told you that I'm crazy for these cupcakes cousin. CheapAlert wrote: Don't Rear the Reaper. Uh oh, someone strayed into the Adult section. Speaking of shirts via internet, Monkeyborg got me This one for christmas two years ago. I wish Thanatos were here to see this. 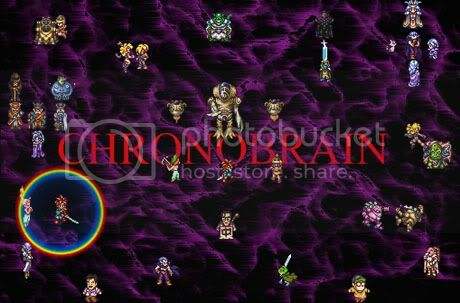 If its any consolation, I have decided to start playing Chrono Trigger on the SNES emulator. Its pretty fun so far. I, too, have the emulator and Chrono Trigger just waiting for me to install it. pfft like a rainbow circle is needed to show how gay he is! and that was a horrible tpyo back there. lol you just typoed typo. That's beautiful. CheapAlert wrote: pfft like a rainbow circle is needed to show how gay he is! You're just jealous because his sword's longer than yours. These guys have some pretty swank t-shirts! DISCLAIMER: I am one of these guys. stevenf wrote: DISCLAIMER: I am one of these guys. Because child abuse is always the preferable option. stevenf wrote: These guys have some pretty swank t-shirts! I love the way it handles the shopping cart. Never saw that before. I'm tempted to get that, but there are so many hippies around here that I'd probably be beaten with in an inch of my life. Seriously, though, wouldn't they be more likely to start tripping out? "Dude, so if I, like, don't eat all the animals, like, if I don't eat any animals, ever . . . that means you've gotta eat three animals for every animal that exists! That means that once you get finished eating every animal, you've gotta eat that same number again! And then again! And, like, where are you gonna get all those animals to eat, if you already ate them all, huh?" And in the meantime, you've walked away without them noticing. catastrophile wrote: Beaten by hippies! We have more activist hippies here than stoner hippies. Although walking into the organic food store wearing that and watching people's reactions might just be worth the thrashing. My sisters best friend is a vegitarian. I so want to wear that shirt around him. Cry-Your-Pardon wrote: I love the way it handles the shopping cart. Never saw that before.